Simple to understand. People don’t typically read through entire websites – it’s get in, find what you are looking for and get out. Make sure the content is easy to understand so that your visitors will be able to find what they’re looking for in a timely manner, so they don’t go looking elsewhere. Large images. By using large images, you are able to capture your visitor’s attention instantly. Use full screen images with little text (ideally 2-3 words) and make sure the images are interesting, relates to your company and is also beautiful. Typography. The objective of using larger font is so your visitors don’t have to read as much, while still getting your message across to them. Focus on your message and display them in a big, beautiful font. Responsive design. Now that most searches are done mobile devices it’s extremely important to make sure that your website can convert to any size screen. A responsive site adapts to the screen of any device your visitors may be using, which will make for a much for user-friendly experience. Establishing a stunning, memorable website is no easy task, but with a little focus creativity it can be done. Don’t go on being in the shadow of your competition, get a little risky with your design. Loading screens. No visitor wants to wait around for 15 seconds watching a loading screen just to get to the content they would like to view. If your site needs to load, you have too much going on and need to taper back the design content. Auto-play video/music. Not only is auto-played video/music annoying to your visitor, but a distraction. If you require having some sort of audio or video on your website, give your visitors the freedom to listen or watch. Pop-ups. Pop-ups that engage you to take a certain action or to subscribe to a blog, aren’t bad marketing tactics, as long as those pop-ups aren’t diverting your visitor’s attention elsewhere. Flash sites. Flash is now a trend of the past, as most devices can’t read Flash. So, if your website is incorporating Flash, it’s time to redesign. Stock photos. When it comes to stock footage, be particular. The photos you choose for your website can either make it, or break it. 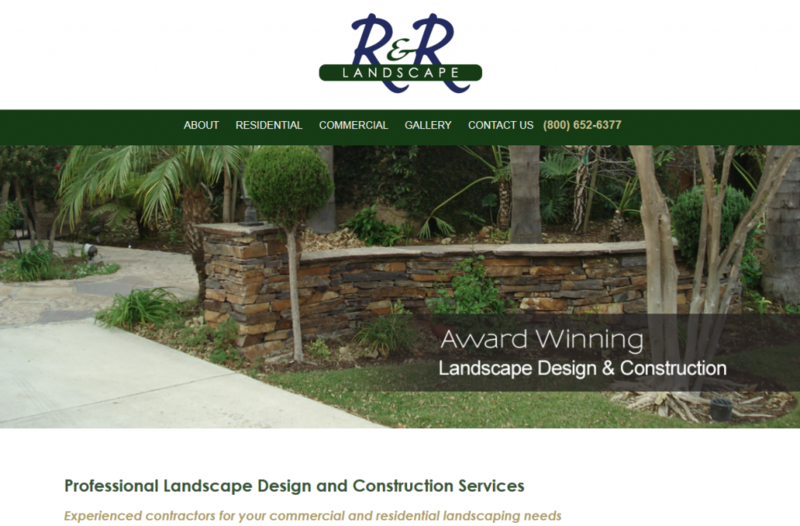 Jelly Websites is proud to announce the launch of one of our newest websites R & R Landscape. Our talented team of web designers here at Jelly Websites built this seamless website to be fresh and informative without bombarding the viewer’s senses. This beautiful single page website provides the perfect amount of information, while leaving viewers interested in attaining additional information. We here at Jelly Websites are dedicated to getting to know you so that our team can build websites that reflect your company’s personal style and attracts viewers online. By also adding search engine optimization tags we can also help you gain new customers. Due to our 16 years in website design and development, we have the resources to do all of the hard work of getting you noticed saving your valuable time. If you’re ready to take your company to the next level with a beautiful single page website, contact Jelly Websites in Corona, CA at 888-614-6686 or visit our website at www.jellywebsites.com for additional information. Proudly serving Corona, Riverside, Chino, Ontario, Tustin, Yorba Linda, Fullerton and all surrounding areas. 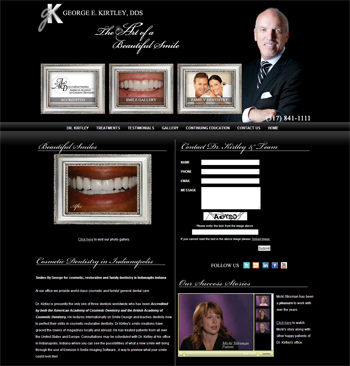 User Friendly Experience- Visitors will be sure to have a seamless experience, as there are no pages to navigate. They will also have easy access to information they are seeking right away and will have no trouble finding it. Simple Navigation- Navigation on a single page website is easy as 1, 2, 3. Since there is only the one page, your visitors can’t get lost. Your visitor will only be a click or a few scrolls away from the information they are seeking. Focus on Quality- With a single page website you are able to focus on the overall quality and not quantity. Since there is only one page you able to put all of your creative work into one page. 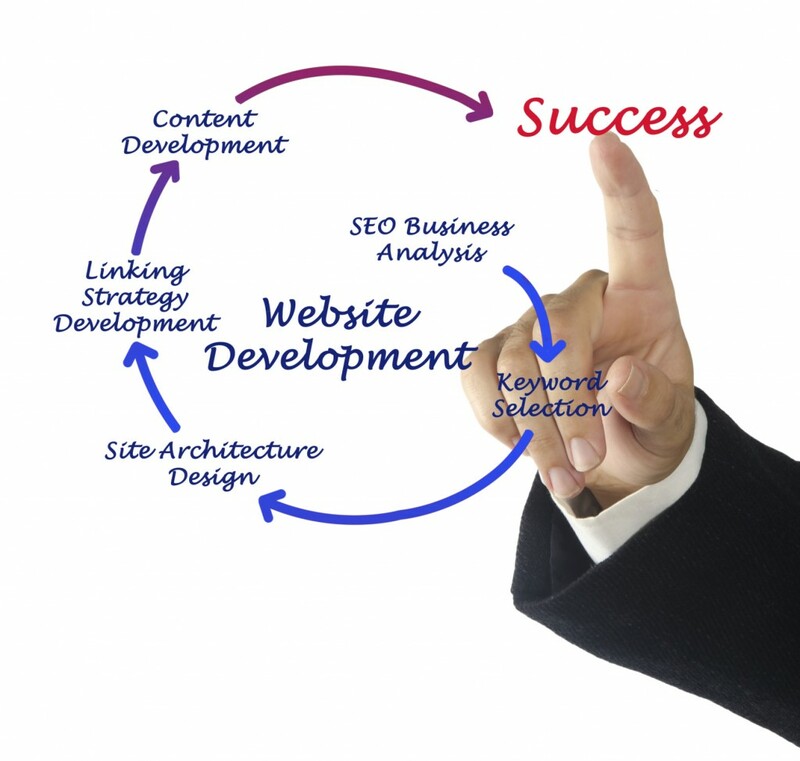 A good quality website will produce better results. Easily Informed- Another benefit of a single page website is that the amount of available space makes it easy to get you your point across or to convey information. Google Ranking- With a single page site you will having a better chance of ranking higher on google because there is just the single page. This can ultimately lead to more traffic since the ranking applies to the whole site. 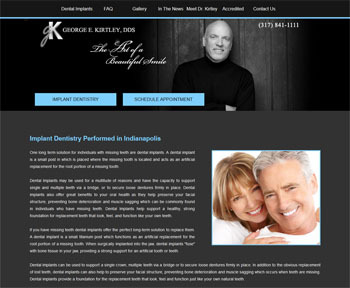 If you’re interested in obtaining more information regarding single page websites, call Jelly Websites in Corona, CA at 888-614-6866 or visit our website at www.jellywebsites.com to view our portfolio. Proudly serving Corona, riverside, Chino, Ontario, Irvine, Tustin, Yorba Linda, Fullerton and all surrounding areas. When it comes to websites, not every single one needs to have several pages to be attractive or interesting. 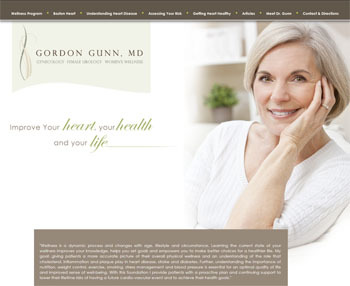 Single page websites can actually be just as effective as any other website out there. A single page site removes clutter from design and allows for you to focus on your main objective. 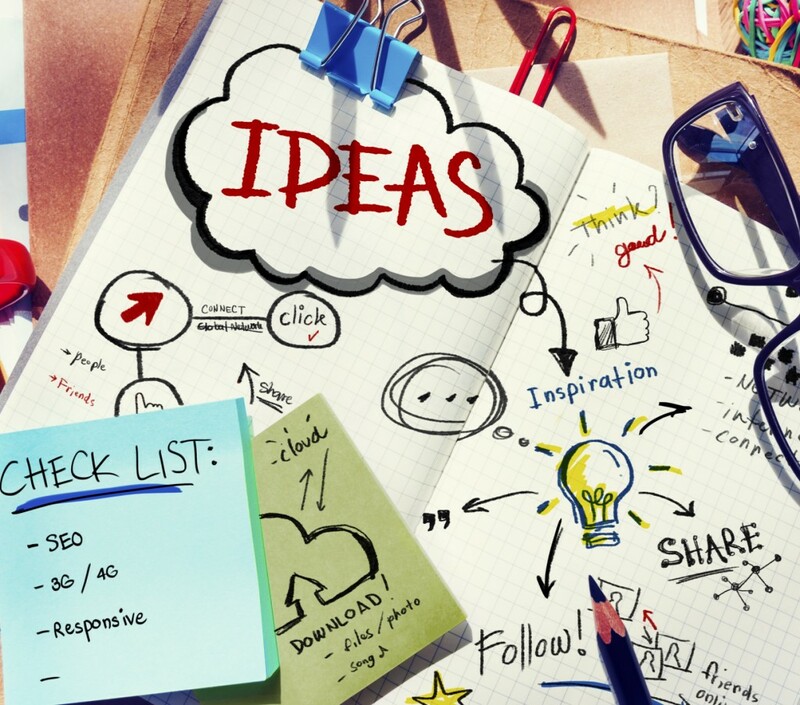 You’re able to incorporate creativity into your single page site, while also making your focus point clear to your visitors. 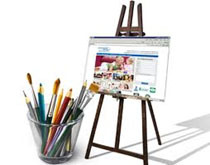 Visual Design- Your visual design is the first thing your visitors lay their eyes on when entering your website. Those visuals include color, fonts, layout and white space. You want to make sure the theme of your site relates well with the colors and the overall topic. Also, don’t forget to utilize your white space. Credibility- Your visitors want to know they can trust your company. Be sure to incorporate something on your single page website that proves you are a trustworthy company, such as testimonials from happy customers. Navigation- Navigation is what steers your visitors where they need to go, this should be simple because your visitors should only be able to scroll down. Your singles page site should also have very little links, this helps subliminally guide your visitors to an action you want to take. Call to Action- Incorporating a call to action is an important key element. You want your website to have a clear objective, and that objective is to get your visitor to take a desired action. That action could range from purchasing an item to obtaining personal information to grow an email list. Also, offering something in return for your visitor’s information can generate more leads. Responsive Design- Since most people are using some sort of mobile devices or tablet now a days, you must make sure your website is responsive. 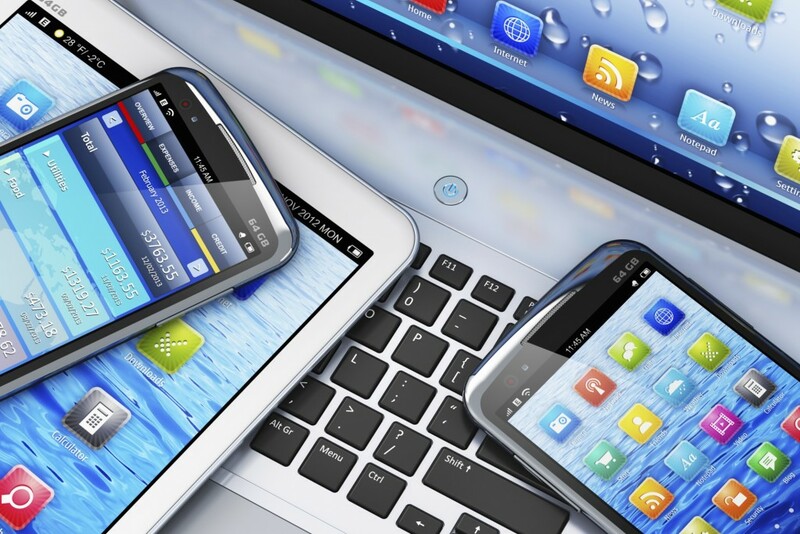 A responsive design allows for your website to convert to any size screen, on any device. There are so many uses for a single page website! If you’re interested in learning more about single page websites, contact Jelly Websites in Corona, CA at 888-614-6686 or visit our website at www.jellywebsites.com for more information. Proudly serving Corona, Riverside, Chino, Ontario, Anaheim, Irvine, Tustin, Yorba Linda, Fullerton and all surrounding areas. When entering a full page website for the first time it can be quite easy for some visitors to get lost while trying to navigate through all of the pages, on the other hand, with a single page website navigating is just as easy as scrolling down, because that’s all it takes. So what are the benefits of a single page website? Uses Storytelling to Encourage Action- Single page websites are designed in a way that your experience on the page is more of a journey than a task. Instead of clicking around a full website in search of information your visitor can simply scroll down to find the information they may be seeking. This allows you to entice your visitors towards a certain objective, while creating a more emotional and interactive experience. Straight to the Point- With a single page website it only allows so munch content, which forces you to consider what information is vital and what is not. This also allows for the visitor to absorb more information about your company. Easy Navigation- Since scrolling is intuitive, a single page website allows for a much more seamless experience. Your visitor should be able to find what they’re seeking almost immediately. Also, by limiting the amount of links, you’re able to subliminally guide visitors to the action you want them to take. Converts to Mobile- There’s only one way to go and that is down, this makes single page websites a lot simpler to navigate on a mobile device since is a responsive website. If you’re interested in knowing more about single page websites, call Jelly Websites today at 888-614-6686 or visit our website at www.jellywebsites.com.